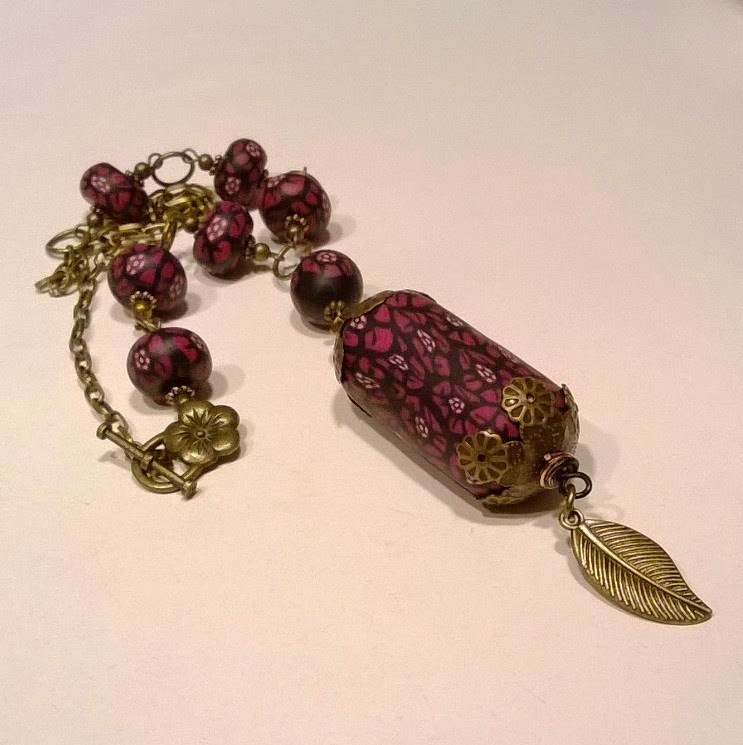 I make Art Beads...which are like tiny works on art on a bead. I get much of my inspiration from great artists like Matisse, Klimt and Van Gogh. The other reason is slightly humorous. 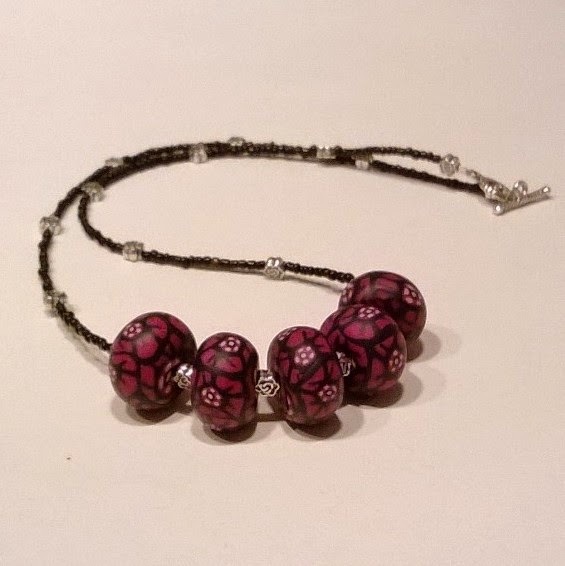 My maiden name is Hartley and originally I was going to call my business Beads From The Heart, but there were lots of businesses with that name, then I thought Beads From The Hart...but it just doesn't look right! Where I live in Rochdale, I grew up being called Andrea 'Artley. A lot of my school mates dropped their "H's"!!!. It's always a challenge when you arrive at an event and find that the space provided isn't a conventional 6' trestle....and I think that's a good thing!!! At last Saturday's event, I had two cafe tables pushed together and I quite liked having that extra depth to fill with bits and pieces. Tonight I shared a very large table with a lovely lady (was she called Sally? Aaaagh...I have a rubbish memory these days) and her fabulous hand knitted goods! Well, this is what I did with a large square at the Stitched Up "Meet the Makers" event. 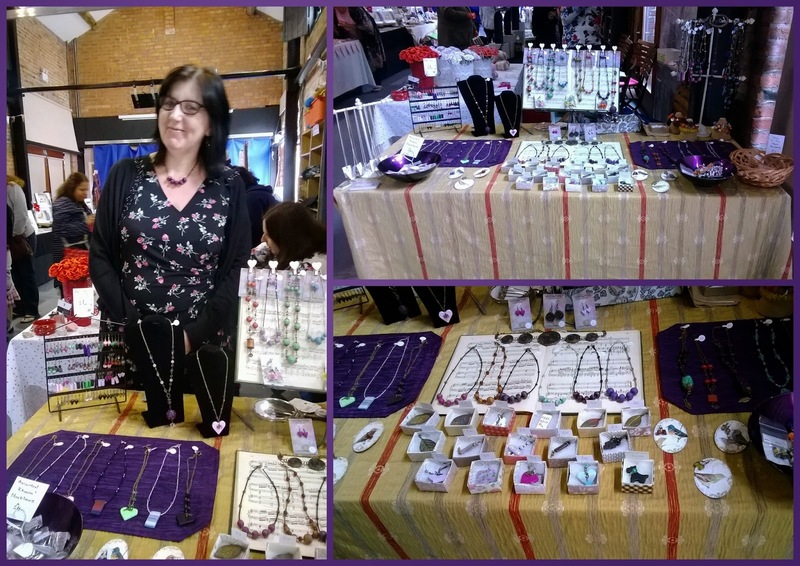 I don't think I did a bad job with it, but I really do think it's a good idea to take photographs of your stall as you can see better what stands out and what doesn't and where you can improve to display your stock better. It's funny, how the size and shape of your display space can make such a difference. Anyway, I had a brilliant time tonight and met some lovely ladies. 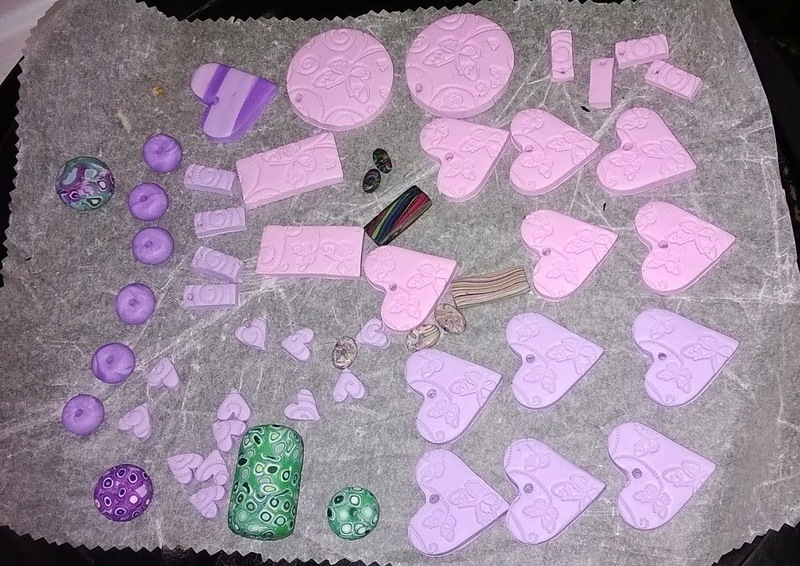 These are some of my NEW beads, which come in all shapes and sizes as you can see! I've yet to list them on Etsy as taking photos, editing them and listing is SOOOO time consuming, but hopefully over the course of the next few days, you'll see some up there. ....and you can say "hello" to me too! 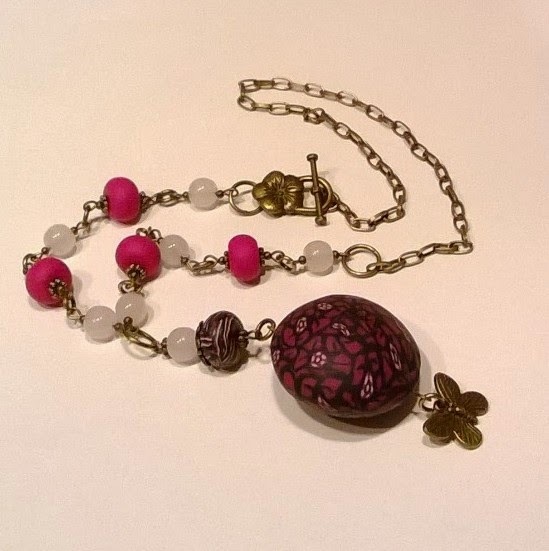 There are more photos of my new jewellery on my Facebook page! Pop over and give it a "Like"!!! Had a great time at Wythenshawe Park yesterday with the Manchester Craft Mafia but it was soooo cold, fortunately the cafe was on hand with cheese panini's and hot tea!!! It was lovely to catch up with some of the other stall holders, we had such a laugh. Well, I have two more events this week. 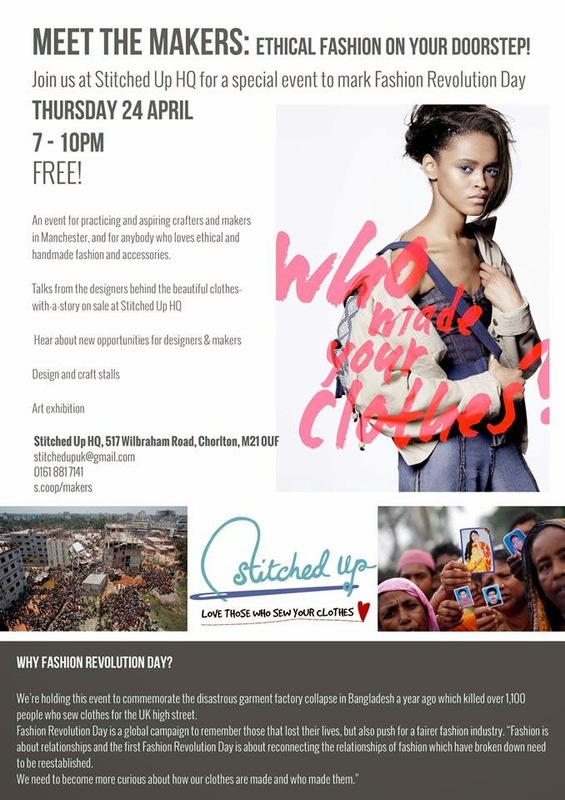 The first one is on Thursday (24th April) with the lovely ladies at Stitched Up at their shop in Chorlton, Manchester. so I'm really looking forward to it. 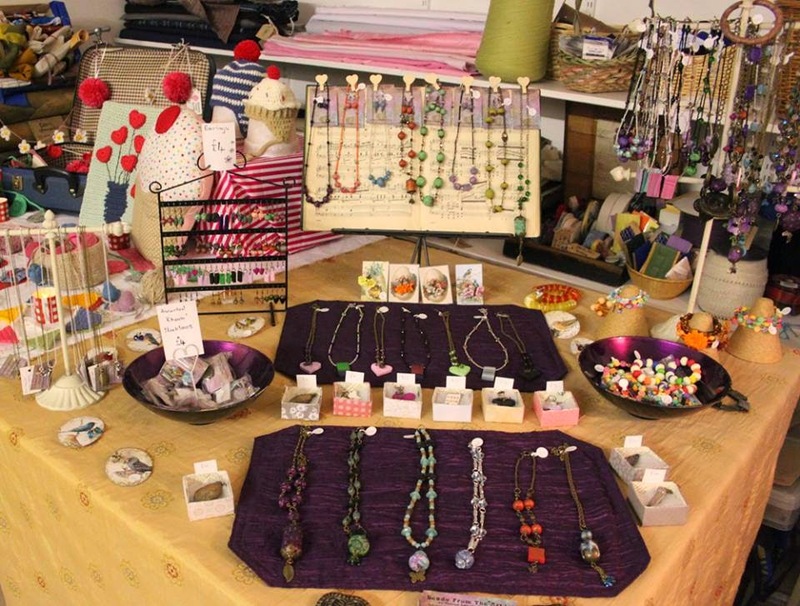 It starts at 7pm and I'll be there with my jewellery stall until 10pm, so why not come along. 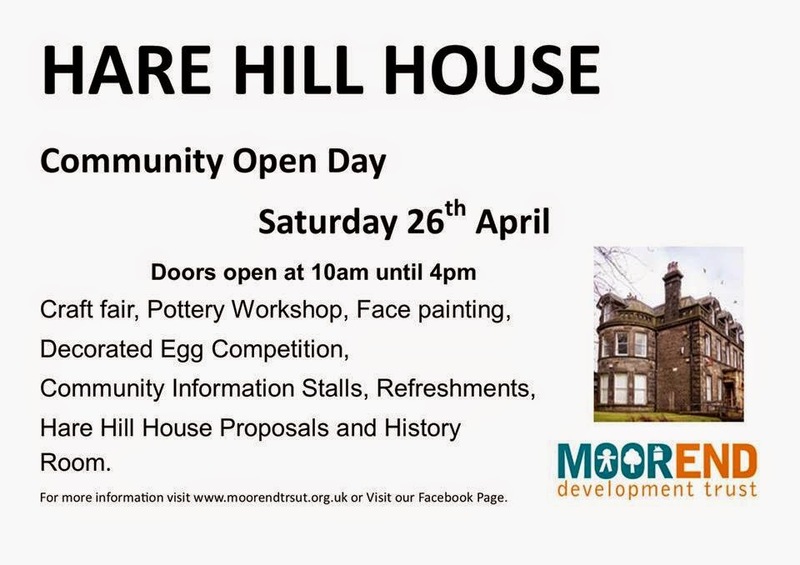 My other event is at Hare Hill House in Littleborough on Saturday (26th April). I'm really looking forward to being there, as I used to work in the library there, over 20 years ago, and have many happy memories. Also, I'll be meeting lots of lovely ladies and seeing all their creative wonderment, whom I've recently discovered on facebook! 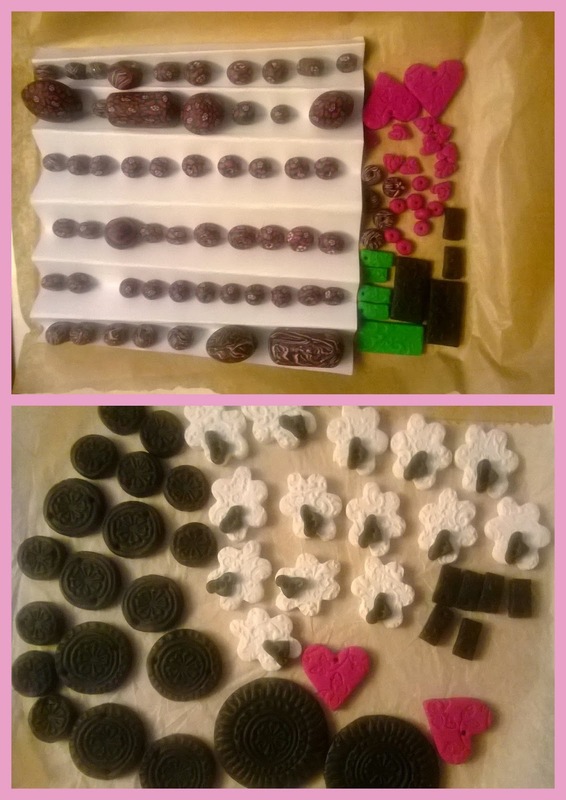 I was absent from my local crafting community for most of last year, when I wasn't feeling too good and on my return have found a whole host of creativity in our midst! Another pendant from my Coastal Collection...catch it while you can in my Etsy Shop! It's an original, one of a kind and as these are very hard to recreate exactly so there will never be another one quite like this one! 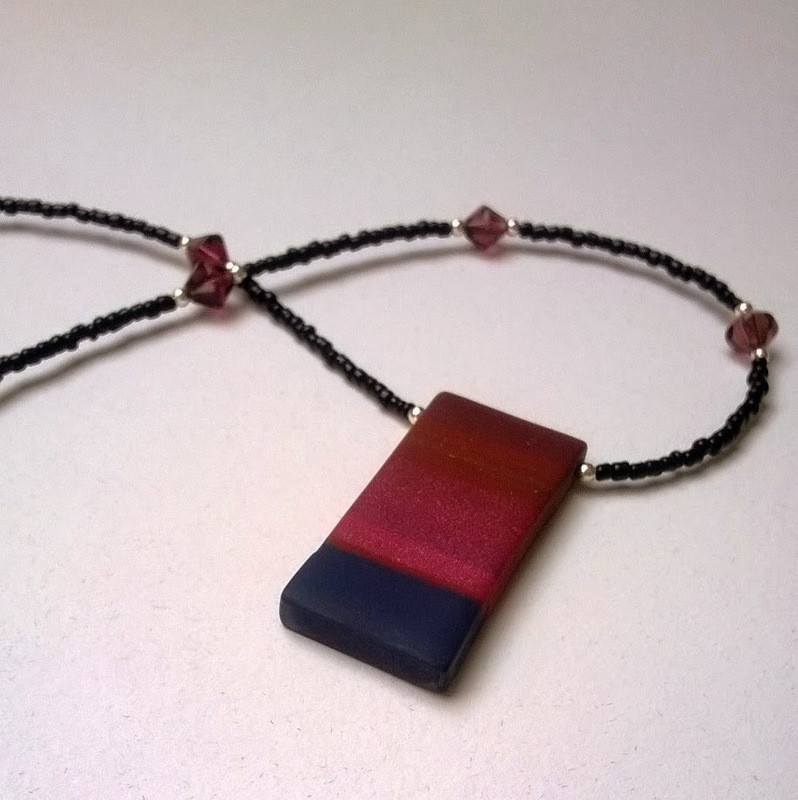 One of a kind Sunset Pendant with shades of black, maroons and reds with a shimmery hue in horizontal stripes. 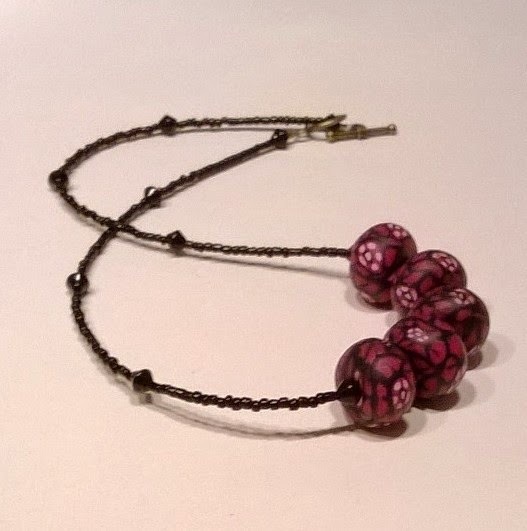 It hangs from a necklace comprising of tiny black glass seed beads, silver spacer beads and 10 maroon glass crystals. 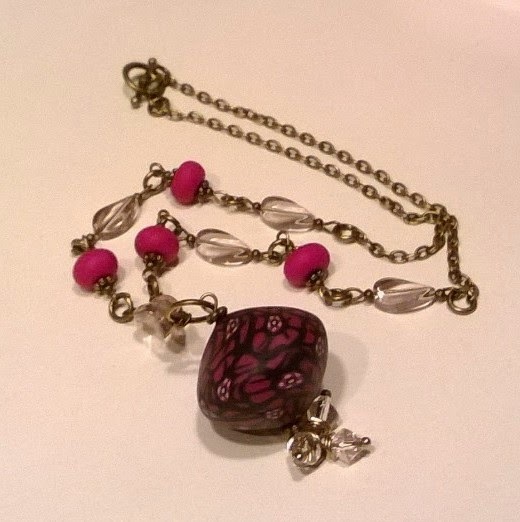 The necklace fastens with a small toggle closure, making it easier to fasten on and off. No more struggling with tiny clasps. This is from my Coastal Collection. Inspired by summer trips to the coast while on holiday with my family. Memories of walking along the headland full of flowers and bracken, walking along the beach collecting pebbles, watching the sea from sunrise to sunset and eating ice cream and candy floss from the carnival stands. Happy days! Pendant measures 1 1/2" x 6/8"
which is now my Essential State of the Art Roller Tool!!! 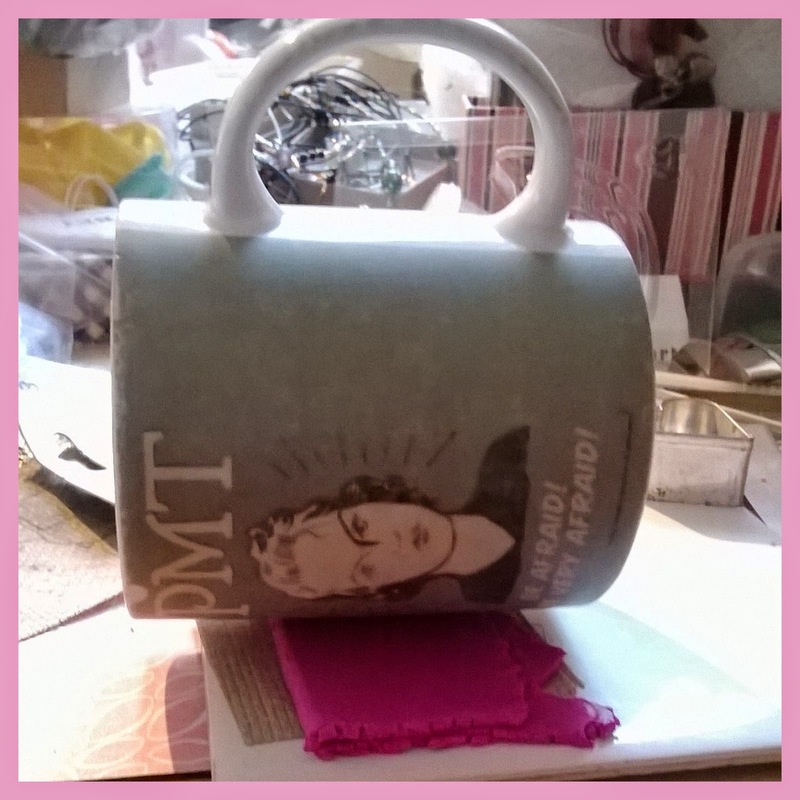 It's brilliant...it's smooth, it's washable, it's got a handle in the right place and I can drink a brew from it!!! It's even got a warning message on it, in case anyone tries to steal it!!! It's like the Encyclopedia Britannica for people like me! When I was a little girl, my grandma used to come to stay with us and before we went to school, she'd ask us to leave out the Encyclopedia out for her to look at. When we got home, she'd still be there reading through them and telling us all the exciting things she'd learnt about. 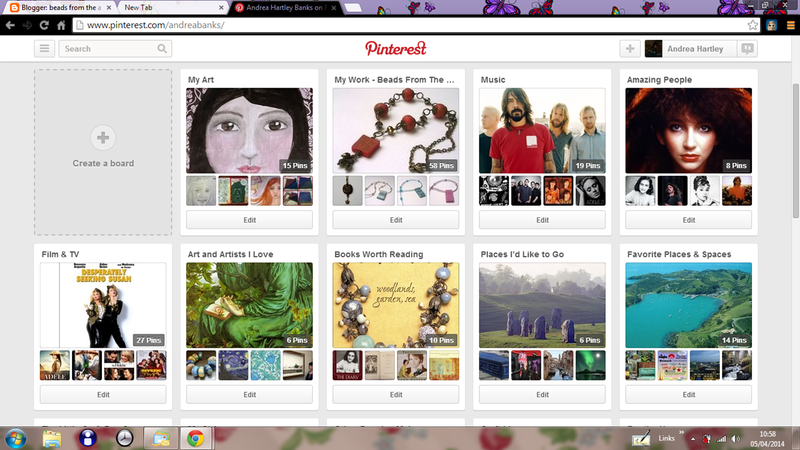 I'm sure if she were alive today, she'd love Pinterest too! Here's a link to my boards, so you can follow me. been to the same places, seen the same bands and met the same famous people? More importantly, let me know which photo of my work do you like the best. You can comment below or on my facebook page. 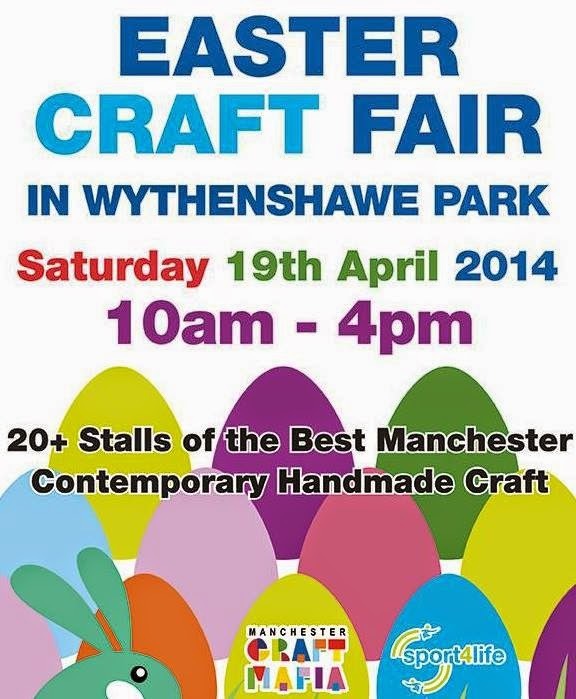 I'm really excited to be taking part in the Easter Craft Fair in Wythenshawe Park with my fellow crafty folk from the Manchester Craft Mafia. I'm particularly looking forward to seeing Helen from Ma's Bars who makes the most wonderful soap and body butter amongst other things. It would be lovely to see some familiar faces so do come along if you can!! !